Vintage wooden painted Louis XV style cupboard with 2 drawers above. 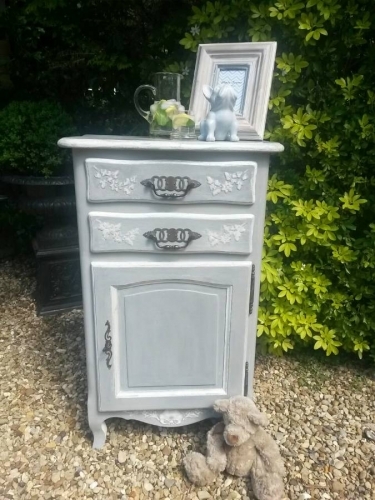 Painted with highlighted detailing retaining its original handles. Handy storage solution for an alcove or tight space in a bedroom, bathroom or living room.